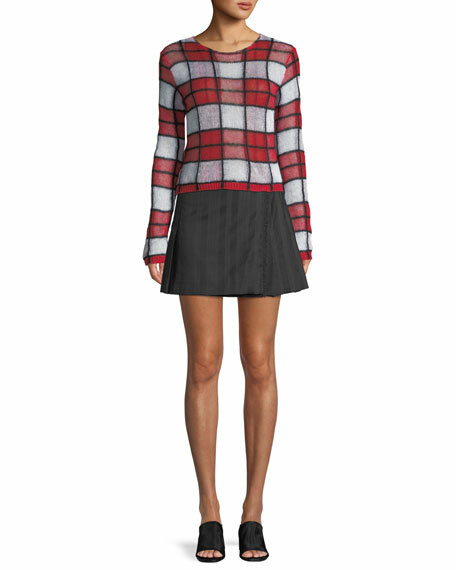 McQ Alexander McQueen striped kilt skirt. Draped front with frayed detail. For in-store inquiries, use sku #2594861.